Photon 3D Scanner #3dthursday « Adafruit Industries – Makers, hackers, artists, designers and engineers! Here’s an interesting desktop 3D scanner project designed by talented Canadian makers from the Adafruit community! This project is currently a funded project over at Indiegogo: Photon 3D Scanner. Thanks for sharing about your project, Adam! 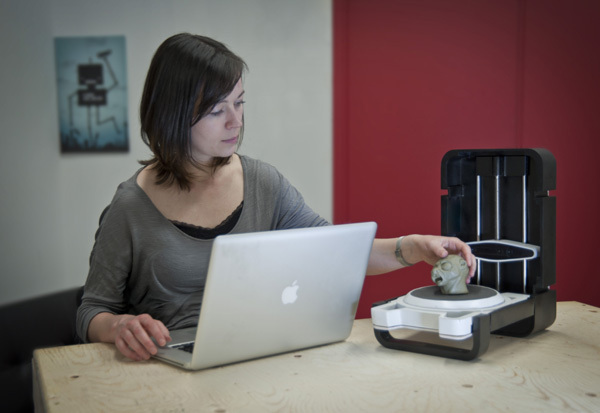 If you’ve ever wanted a 3D scanner now’s your chance. The Photon allows anyone to take a physical object, and turn it into a digital 3D model on your computer. From there, you can print your file on any 3D printer, or online printing service. Or use the model you created in an animation or video game. We’ve been developing the Photon hardware and software from scratch for the past year and now we’re ready to release it to you. We’ll fulfill all the indiegogo pledges first so if you’re excited to get one, supporting us now is the best route and you can take advantage of our special intro pricing.